Static websites are great. Hugo is a really great static website generator. Except for a few things (some not even Hugo’s fault!). 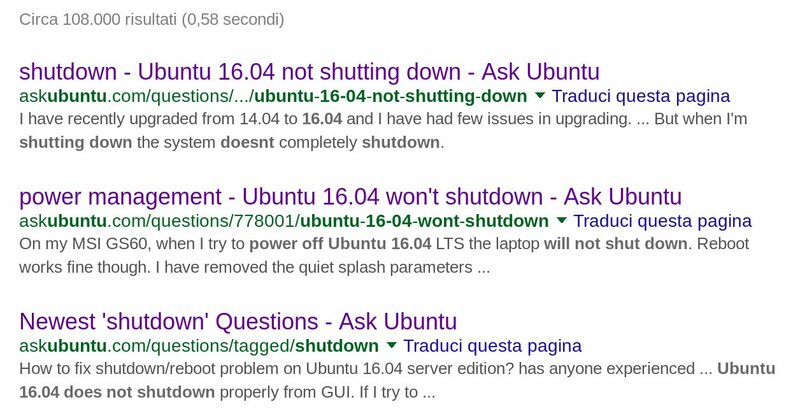 Did you ever cancel by mistake a post on some website, only to find out that you had no other copy of it anywhere, not even in Google’s cache? I did. Here is how I recovered it. This is a website by M. Fioretti, freelance author specialized in Free as in Freedom software and digital rights issues, co-author of the Open Government book and board member of the Free Knowledge Institute. I regularly write about digital rights and other, more or less related topics at the Stop!, which you are all invited to visit, of course. What you will find here This other website (which you can support as explained here) is a place where I plan to slowly collect in a readable, easily usable format a lot of tips and tricks that I have discovered myself or read on some mailing lists over the years about configuration, automation and performance optimization of Linux, OpenOffice and other Free Software.